BE A GUEST ON SHOWER EPIPHANIES! Apply To Be A Guest On Shower Epiphanies! Want Art Costello to Be on Your Show? As an author and speaker and successful entrepreneur, Art offers wisdom as well as tangible tools for success that will help boost your confidence, encourage your journey, and affirm you as you begin to enjoy the freer, more productive life you’ve always longed for. Art currently lives in Austin, Texas with his wife, Beverly. He also has three grown children and five grandchildren. Art’s background includes serving as a Marine in Vietnam, playing college and semi-professional baseball, and working as a talent scout in the entertainment industry. As a counselor at Mercy Mental Health in San Diego, he has worked with world-renowned “play” researcher, Dr. Stuart Brown. Art Costello is a visionary mindset expert, author, and coach who helps individuals, families, professional athletes, and business owners recognize the connection between their expectations and achievements. Art Costello has the unique ability to identify what is preventing you from living to your full potential and gives you options. Art is a prolific blogger with thousands of followers. His writing draws from his own observations on life and current events. 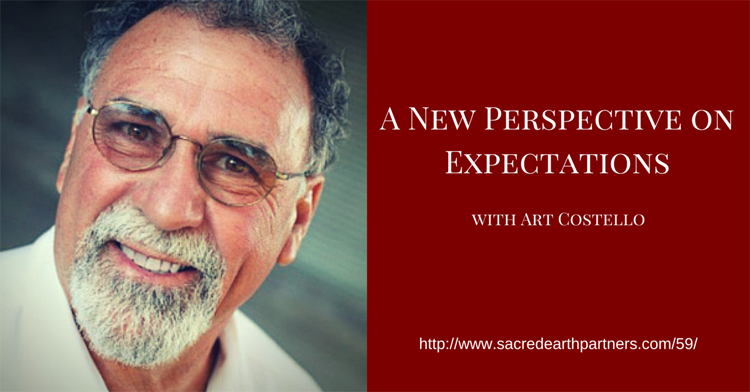 Art Costello is a veteran, counselor, entrepreneur, athlete, and student of humanity who shares his wisdom in this revolutionary concept, Expectation Therapy.